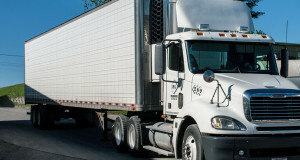 We offer truck load service to the continental 48 states. We have routes every week that go all over the Midwest to California. We operate both refigerated and dry van trailers. 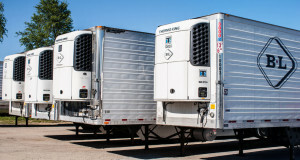 Our refrigerated trailers all have Thermo King units. Customers can contact us to pinpoint their load in transit. Our tracking system can find the exact location of a truck in a matter of minutes. 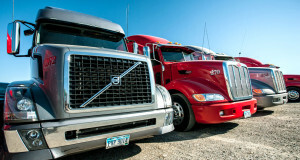 We operate late model Peterbilt’s and Volvos. We operate both refrigerated and dry van trailers. Our refrigerated trailers all have Thermo King units on them. Our Maintenance shop has a great, hardworking team that gets the job done. They take pride in their jobs and do superb work on the trucks. They are easy to talk to, and we always have someone on call if an issue should arise while our drivers are out on the road. We have the latest software and technology to keep our trucks on the road. We have full time truck detailers that keep our fleet looking good. Each piece of equipment is washed and cleaned by hand each time it comes to the yard.